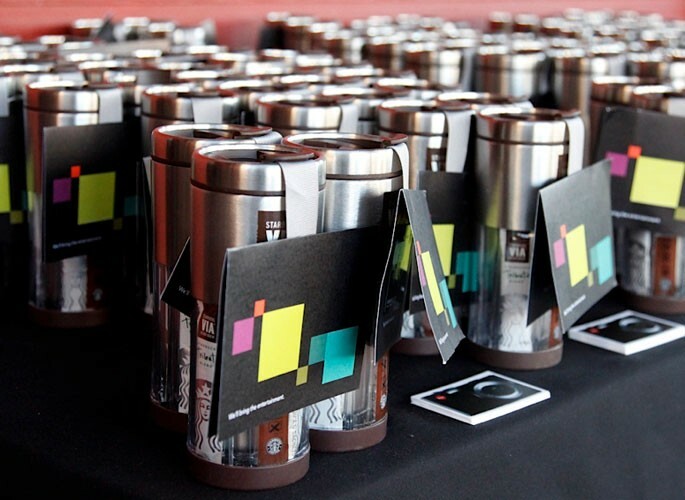 To highlight Starbucks’ new instant coffee, VIA, Starbucks’ was the exclusive sponsor of WIRED’s SXSW Happy Hour and owned WIRED.com SXSW coverage at 100% SOV. 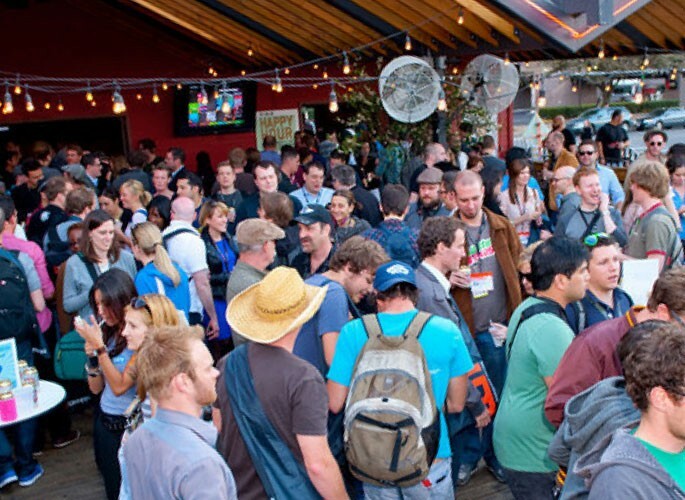 Live: In addition to onsite sampling and giveaways at the SXSW Happy Hour, a VIAtini cocktail was integrated into the bar menu. Outside the venue, street teams continued to generate buzz on the streets of Austin distributing VIA packets and WIRED issues to the masses. 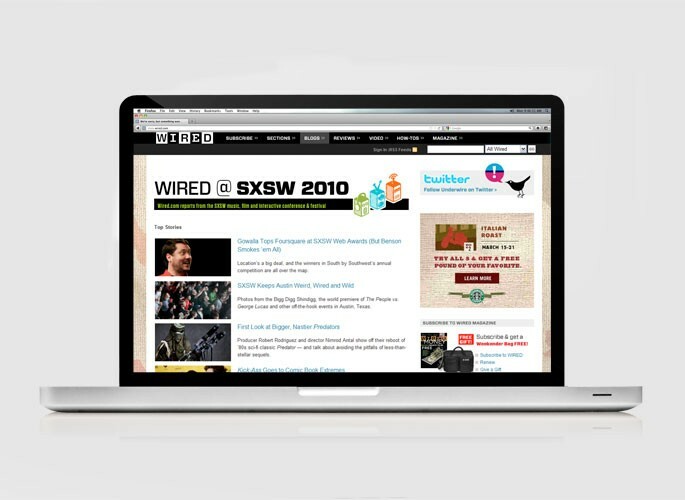 Digital: A custom VIA blogskin was developed to live on the SXSW aggregated landing page on WIRED.com, further promoting the partnership.